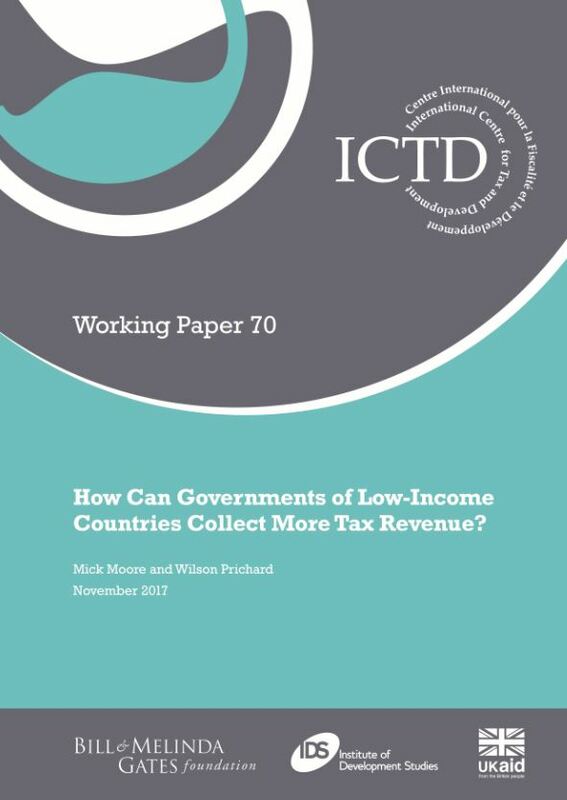 Home » Publications » How Can Governments of Low-Income Countries Collect More Tax Revenue? It is widely believed that the governments of many low-income countries, and especially the relatively poor performers, should be aiming to increase the proportion of GDP they raise in tax revenue. There are risks in emphasising increasing revenue at the expense of other objectives. Governments also need to be concerned with questions of equity, efficiency, trust and reciprocity, among others. However, the question of how governments can further increase revenue is a central part of that broader story. It is a big question. We address it by answering three more precise questions. 1. Which specific potential revenue sources do governments generally tend to under-exploit? This leads to a list of eight ways of potentially increasing revenue: more actively and effectively combating the transfer mispricing activities of transnational firms; taxing mining activities better; increasing excise taxes on tobacco and alcohol; reducing tax exemptions for investors; implementing valued added tax (VAT) more effectively; more actively taxing the income and assets of the fast-expanding numbers of rich citizens; taxing more heavily the ownership and occupation of urban real estate; and obliging government agencies to be better ‘tax citizens’. 2. What are the possibilities of increasing revenue through generally improving tax administration? There seems to be considerable potential, notably to use information and communications technology (ICT) facilities more effectively to manage core business processes, including accounting for tax revenue receipts in more integrated, centralised and transparent ways. 3. What is the scope for increasing revenue through changes to both domestic and international tax policies? Some of the more promising possibilities are: complementing corporate profit taxes with taxes on turnover; signing fewer bilateral international tax treaties; more regional inter-governmental cooperation around a range of tax policy issues; and improving the tools for taxing wealthy individuals. Tax is very political, but so are many things that governments need to do. There is no reason to believe that political obstacles to reform are unusually high in the tax area.